This summer we have really enjoyed having lots of outdoor fun. Now that Gracie is more mobile this year she has loved getting to grips with everything there is to see and do outside. 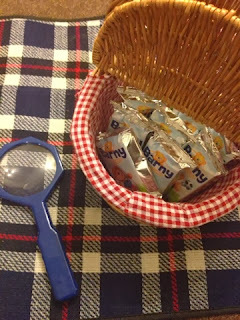 A few weeks ago we were sent an adventure kit full of samples of the delicious Barny Bear cakes along with a bug book and bug barn to go on an adventure. The first thing I did when I saw the bug barn was laugh! Gracie gets very nervous around creepy crawlies but then I thought this may be just the thing we need to show her that they are not scary. 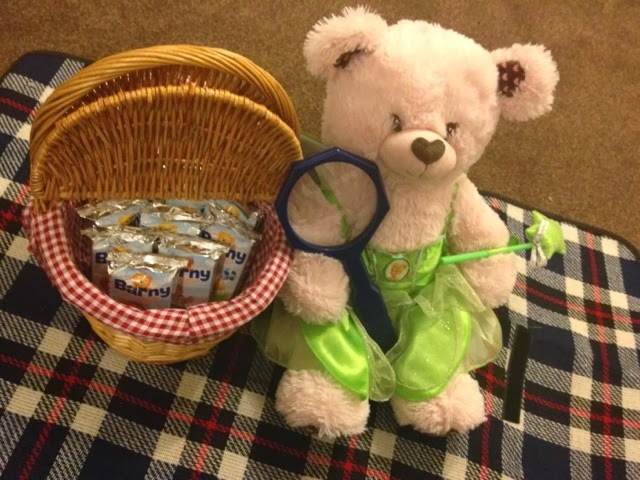 We have already tried Barny Bear cakes and they are a regular treat in our house so Gracie was very excited to find the boxes of cakes in her hamper and when I said they were to be saved for a picnic adventure she was even more excited. She found the bears a home in our special picnic basket ready for our little adventure. 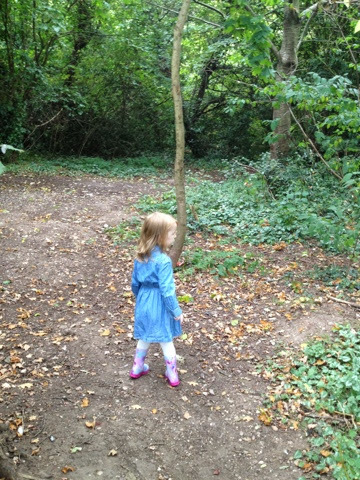 Now that we have a woods at the bottom of the street at our new house we are able to go on lots of adventures. Last week we went for a stroll through the woods, not forgetting to take Barny Bear of course. It was the first time Gracie had been in a proper woods and it hasnt got much of a footpath so we had a chance to do some proper exploring. I let Gracie lead the way and I had Zach in our Boba 3G baby carrier so I didn't have to worry about getting a pushchair around. 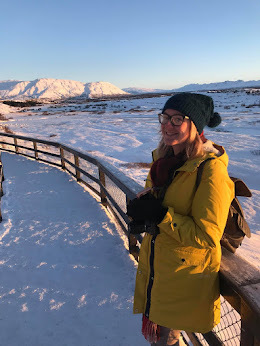 We looked at all the different trees and bushes, hunted for berries, followed a bunch of squirrels that were out collecting nuts and we took lots of pictures. Unfortunately, I couldn't use the bug barn whilsy babywearing and it has rained every day since! Gracie is really excited to try it out too. I have told her as soon as the rain stops or calms down and Daddy is at home then we will go out and see what we can find to put in the bug barn and I will definitely post about how we get on as I can see it being very eventful! Yeah me too! Can't wait until Zach's big enough to join in rather than be carried! Thanks, she loves her Wellies we have almost matching pairs lol! It's such a simple activity you tend to never forget! Awww sounds lie a fun little adventure! I love that picnic hamper! They really are! We love the chocolate flavour although both are pretty tasty! 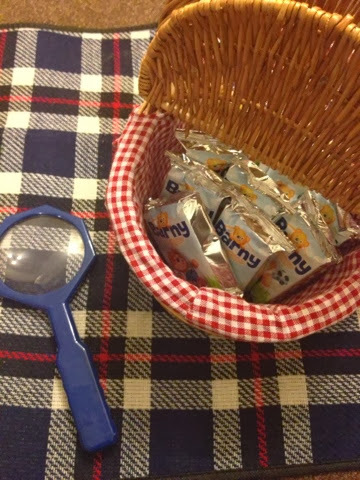 Lovely adventures, seems like Barny had lots of fun with you! Aw I love her little hamper!